Alfons Hannes (1931-1910), from 1966 to 1996 Burgermeister of Frauenau, a trained glass engraver and union representative, knew and loved the milieu and culture of the glass workers. At the same time he was a worldly and widely travelled art connoisseur and glass historian. With the support of glass artist Erwin Eisch, and works manager Helmut Schneck, as well as of regional and international glass friends and historical glass museums, he converted a derelict saw mill into the first Glass Museum Frauenau. It was opened in 1975. This first museum, run by the community of Frauenau, benefited by Alfons Hannes’s great glass knowledge and expertise, his humanity and a Frauenau sense for improvisation. It transcended the conventional borders between the industrial and art museum, and regional and international perspectives. Presentations of glass history, crafts and technology were supplemented by valuable glass objects donated through local funds, private and museum collections as well as acquisitions. All together they made the connections between the glass-producing regions and the markets of the world since ancient times visible and understandable. It was Alfons Hannes’s aim to bring glass people together in his glass museum. He initiated the “Bavarian Forest Glass Prize” for glass factory makers, crafts people and artists of the region (1984, 1988 and 1993). 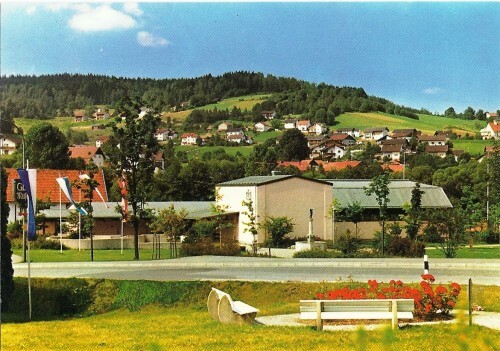 The International Frauenau Glass Symposiums are legendary: In 1985, 1988, 1991, 1995, and 2000 they were celebrated in and around the Glass Museum Frauenau as magnificent glass family feasts. The last International Glass Symposium was organized by Bild-Werk Frauenau in and around the new Glass Museum in 2006.